Corel Paintshop Pro X7 has just been released and you can pick it up now at Corel.com. There are several versions available, included the discounted upgrade discount for those who qualify. We don’t yet have any new coupon codes but expect deals to start arriving by the holiday shopping season. See store for product details and current sale prices. With Free Shipping at Amazon. Amazon, an authorized Corel software reseller, has the new versions on sale. You can also find a really good deal on Paintshop Pro X6 Ultimate as they clear out the remaining inventory (up to 55% off the list price!). That’s right, they have the full version on sale for the lowest price we’ve seen all season with free shipping included as well! If you have a chance, you should also read up on the user reviews listed on the page where you can get a pretty good idea on how others see this software. Just keep in mind that sale prices can slightly vary from day to day so be sire to see Amazon for details. When upgrading to version X7. Existing Corel customers can enjoy an instant 20% savings over the retail price on Paintshop Pro X7. 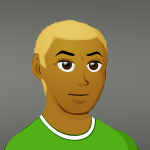 To qualify, you’ll need to currently own PaintShop Photo Pro X5 or newer versions (Standard or Ultimate will qualify). The only exceptions are owners of Home and Student, Academic, OEM, Not for Resale, and pirated versions. Eligibility is verified by providing your existing serial number and the time of installing your new version. Available to qualifying customers only. Take advantage of the low price guarantee. For those of you that rather pick up a copy of PaintShop Photo Pro X7 at your local Best Buy store or other reseller in town, then keep in mind that may stores have a low price guarantee policy in place. If you come in and show than that another competing reseller has a better price on the exact same software product, the store manager should be able to price mach it for you on the spot, regardless of their current sales price. Keep in mind that certain restrictions will apply, not all requests will be honored, and will be limited to inventory on hand. Download the trial at Corel.com. 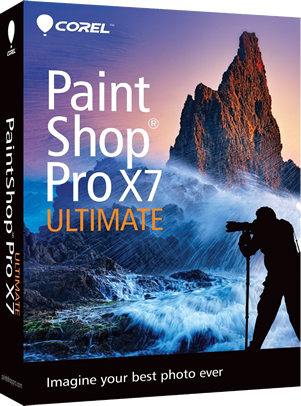 If you’re considering buying PaintShop Photo Pro for the first time, are currently looking to switch from another program like Photoshop, or are using and older version of software, then it doesn’t hurt to try out X7 before you buy it. Corel gives all potential customers who have never tried it or installed it on their computers a 30 day free trial run of the newest version. Simply go to the download section of Corel.com and select the version that you wish to install. There is no obligation to buy and if you decide that you don’t want it, simply uninstall it after it stops working at the 30-day mark. Sign up to our release date notifier mailing list and be the first to know the moment Paintshop Pro X8 is released by Corel! I can’t seem to find a student version. Is there one available? While many software companies offer heavily discounted student versions of their programs, including Corel, there is no student version available on PaintShop Photo Pro. However, if you’re a student and want to take advantage of the deals available, you may consider the more powerful Corel Painter which is priced at just $99.99 for students. That’s 80% off the regular price!